How Much Does It Cost To Travel In Vietnam & How Cheap Is Vietnam? 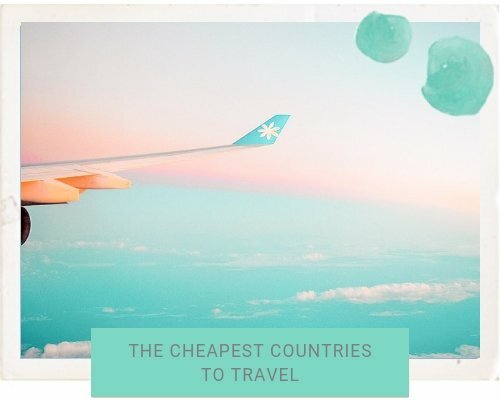 Home » Asia » Vietnam » How Much Does It Cost To Travel In Vietnam? How Cheap Is Vietnam and How Much Does It Cost To Travel In Vietnam? 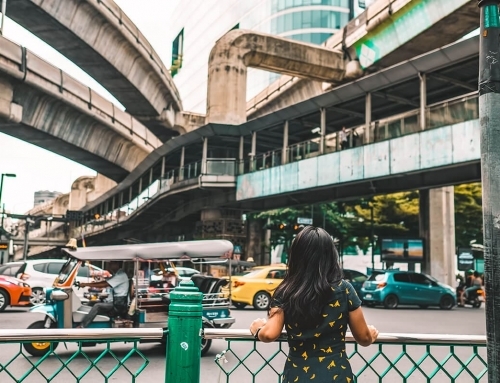 Travelling can be expensive, even in Asia, so its good to keep track of costs and make a budget. 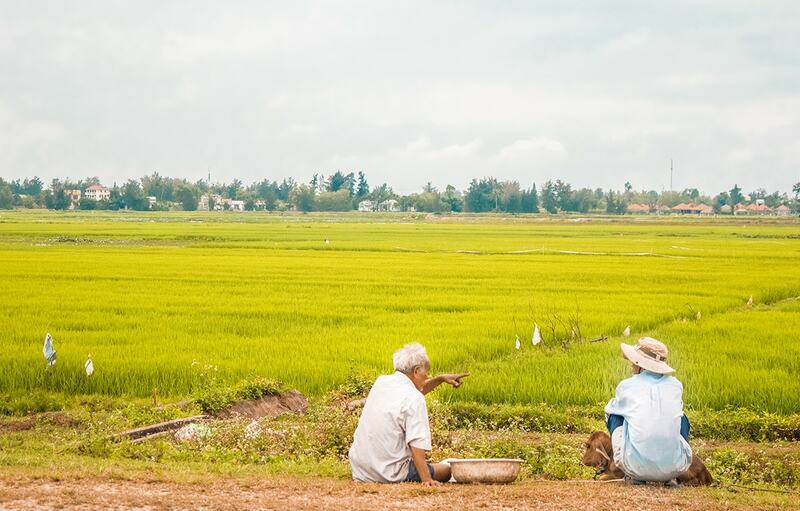 I track my spending so I can share with you how much it can cost to travel in Vietnam. When I was researching online, Vietnam was on the cheaper side when compared to other countries on the banana pancake trail. Most websites seemed to recommend approximately $20.00 per person per day. I actually ended up spending more than I had originally planned and what many other websites recommended during my 28 days in the country. After taking some hellish bus journeys I decided it was smarter and safer to take trains most of the time within Vietnam. We also splashed out on a 2 night tour of Ha Long Bay and the Vietnam visa is not cheap. 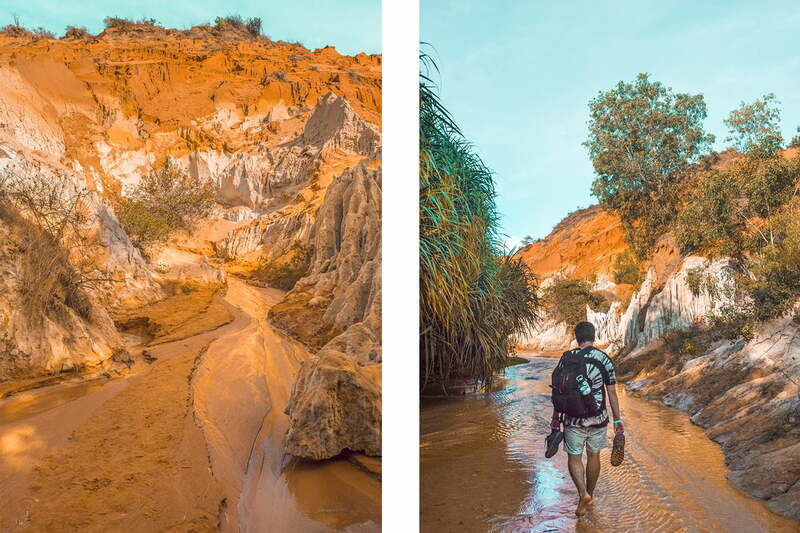 I certainly lived a comfortable life in Vietnam and my cost per day to travel in Vietnam was $25.00, so not too much more from the recommended backpacker budget of $20.00. 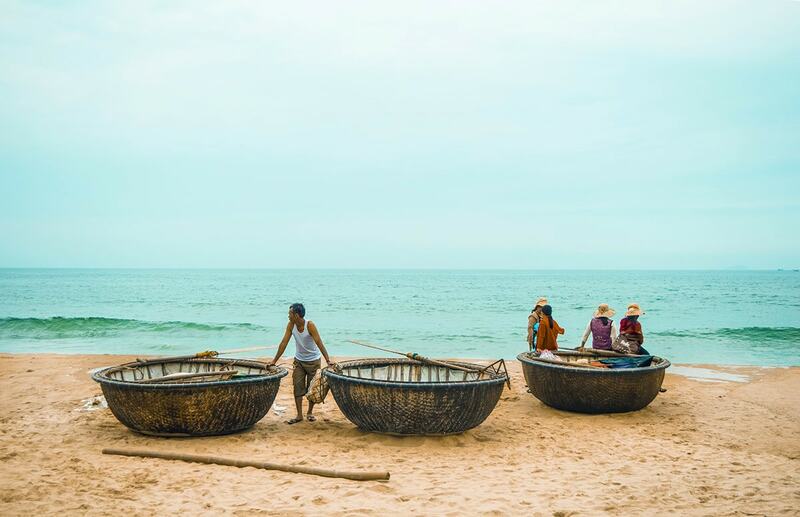 1 How Cheap Is Vietnam and How Much Does It Cost To Travel In Vietnam? 2 How Cheap Is Vietnam? 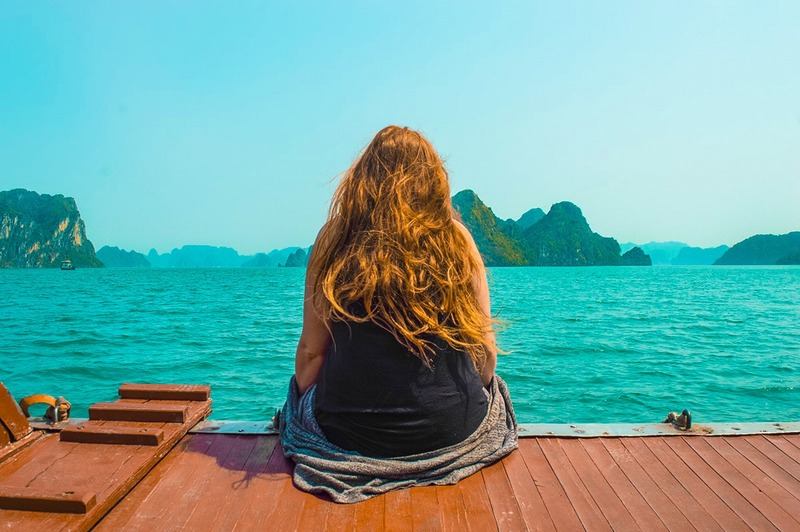 3 How Much Does It Cost To Travel In Vietnam? 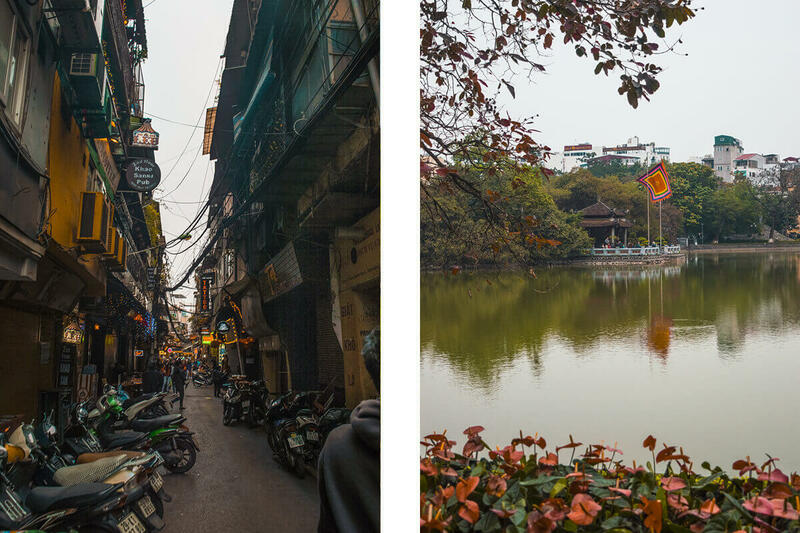 Check out Passport Symphony’s visiting Vietnam tips. 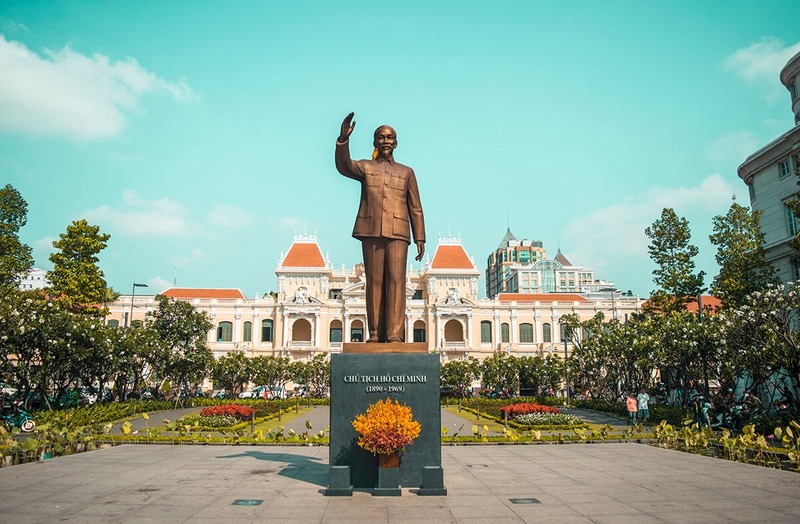 Previous to arriving in Vietnam I had purchased a Visa approval letter online for $17.00 / 385000 VND – Linked is the same company I purchased through and I had no issues at the airport. We stay in a large dorm room at Chien Hostel which includes breakfast. 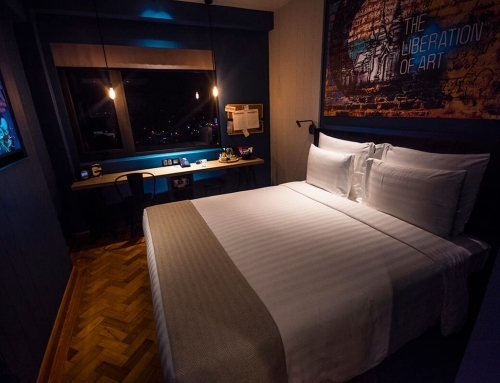 It costs $5.05 / 115000 VND per night – Check out my review here. Breakfast is included in rate at Chien Hostel. For lunch I grab a pizza and tea for $3.50 / 80000 VND. Then on the way back we split a cookie for $0.55 / 12500 VND. We share the cost of a large bottle of water at $0.33 / 7500 VND each. I join in on a free walking tour which Chien Hostel organize to familiarize newbies on the highlights of Hanoi. Dinner at Aubergine Cafe which costs me $4.40 / 100000 VND. I order a lemon juice, caramel, ginger and chili tofu with rice- Highly recommend this place for vegetarians! We head to Sapa in Northern Vietnam by taking a bus we booked through Chien Hostel. This costs me $9.02 / 205000 VND. Once in Sapa we grab lunch at Little Sapa Restaurant. I grab 2 cups of green tea and a toastie which costs $6.16 / 140000 VND. Sapa is freezing in February so I purchase a Beanie to keep my head warm for $6.60 / 150000 VND. Then we split a taxi to take us to our homestay in Ta Van $5.50 / 125000 VND. 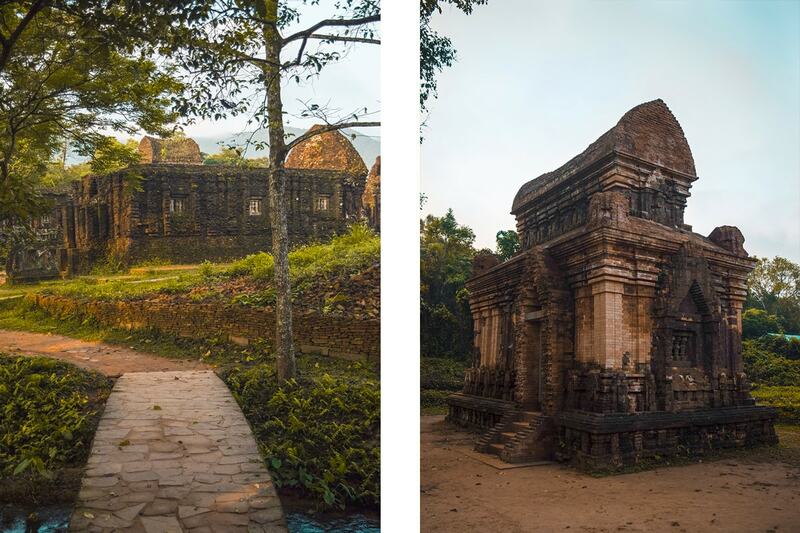 Entry fee into the Ta Van area costs us $3.30 / 75000 VND each. We have dinner at our homestay which is true family style with a variety of delicious dishes. This costs $3.30 / 75000 VND each. The homestay costs $5.98 / 136000 VND per night for a private room including breakfast. A basic breakfast is included in the homestay price. For lunch we hunt for the best deal in town which take us to La Roma Pizza. We share a pizza, pasta dish, garlic bread and I grab a tea for $7.26 / 165000 VND. Then stopping at a small supermarket we grab 2 chocolate bars each, a large water and chips for $2.64 / 60000 VND each. We hike back to Ta Van and visit Luckydaisy’s Bamboo Bar and Restaurant. We share a banana pancake and grab a green tea which costs $2.64 / 60000 VND. We hike back to Sapa town and grab lunch at Little Sapa Restaurant again. I grab a cup of green tea, hot chips and a egg baguette which costs $4.84 / 110000 VND. Then for dinner we purchase a chocolate croissant from a bakery for $0.66 / 15000 VND. 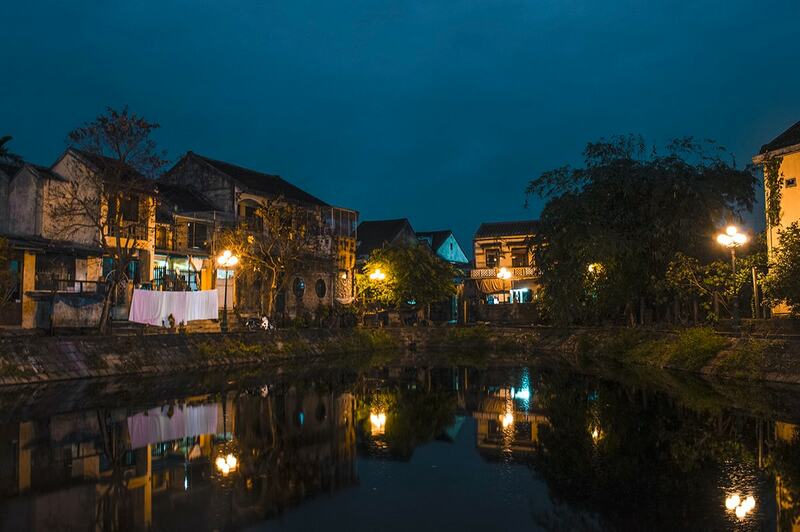 While in Sapa Town we stay at Luong Thuy Family Hotel in a private room. We split the price which works out to be $4.62 / 105000 VND each per night. 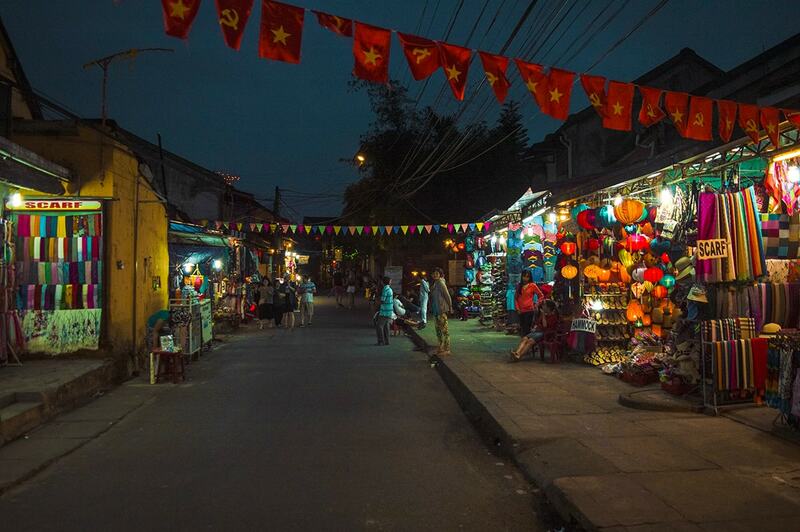 We take a bus from Sapa to Hanoi for $9.68 / 220000 VND. Because we are running late we split a taxi to the bus stop which costs $0.88 / 20000 VND each. After we arrive in Hanoi we share an Uber to Chien Hostel which costs $0.70 / 16000 VND each. Its back for the delicious western food at S&L’s Diner. I grab mac n cheese, hot chips and a soda costing $4.84 / 110000 VND. Then for dinner we are craving Indian so stop at Namaste India. I highly recommend this place and is one of the best dining experience I have ever had. It is well worth the price. I order a curry, naan, rice and mango lassie for $9.24 / 210000 VND. Before bed we head to the supermarket and purchase a few snacks for our Ha Long Bay trip which costs $2.64 / 60000 VND. We purchase a 3 day 2 night tour of Ha Long Bay. This is an all inclusive tour and costs $111.81 / 2540000 VND each. I purchase two soft drinks throughout the day which totals $1.76 / 40000 VND. We spend the day relaxing in Ha Long Bay and Cat Ong Island. I purchase a bottle of water to keep refreshed while trekking on Cat Ba Island. This costs me $0.22 / 5000 VND. Then we head back to Hanoi for dinner at Namaste India. I order a curry, naan, rice , entree and mango lassie for $13.20 / 300000 VND. We head to Geckos Cafe for Lunch. I purchase a pasta dish and a soda for $3.74 / 85000 VND. A 4 berth sleeper train from Hanoi to Hue costs $31.70 / 720000. After arriving in Hue we grab breakfast at Hung Vuong Inn where we share a egg baguette and a drink for $1.62 / 37000 VND. For lunch we walk across the river to a local supermarket. Once there we purchase chocolate, cheese, baguette, crackers and water for $2.42 / 55000 VND each. Then for dinner we head to Lien Hoa which is quite a locals restaurant with an interesting English menu. It is sharing style so we order four dishes to share and some rice which works out crazy cheap to $1.98 / 45000 VND each. We are staying at Thanh An Guesthouse 2 in a private room with two double beds, a balcony and a bathtub. The shared price is $3.52 / 80000 VND each per night. I have a basic breakfast of some of the food we purchased at the supermarket the previous day. 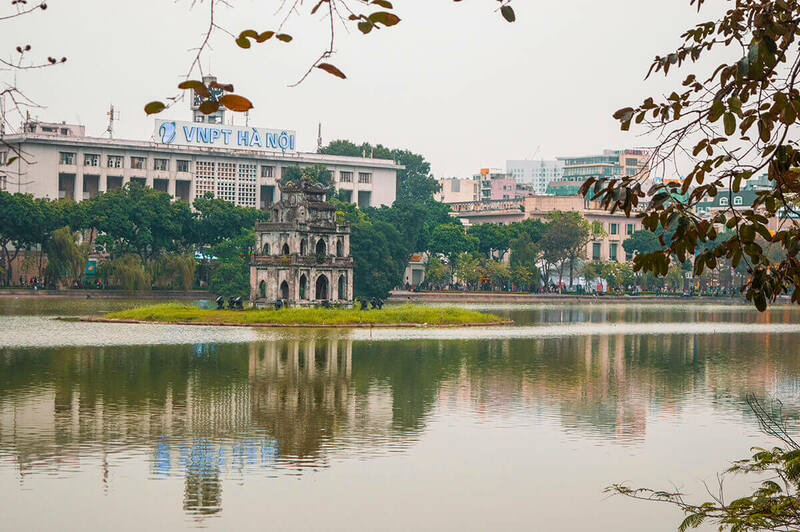 We head over the river to explore the Imperial City of Hue. The entrance fee is $6.60 / 150000 VND. 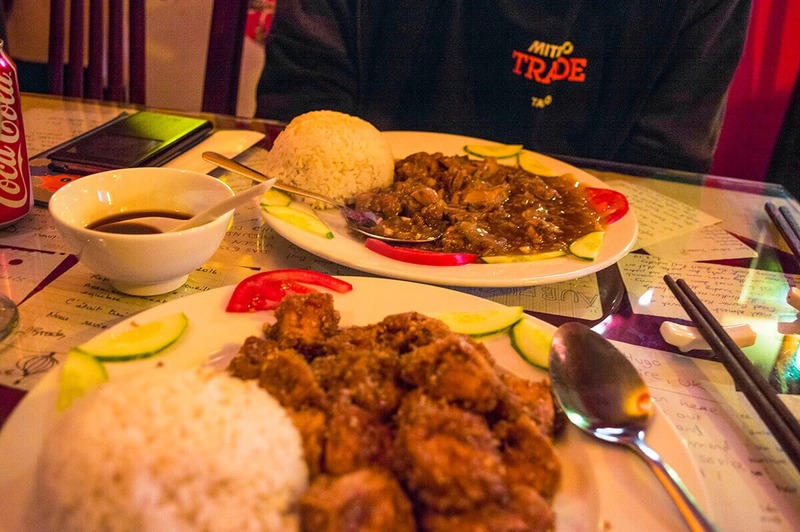 For lunch we find a simple restaurant overlooking the street side called Lac Thien Restaurant. I order tofu, rice and a lemon juice for $3.30 / 75000 VND. We stop off back at the supermarket to purchase some bread, chocolate, soy sauce, water and noodles. The price comes to $1.54 / 35000 VND each. Then for dinner we are craving Indian again so head down the street to Ganesh Indian Restaurant. Here I order a curry, naan, soda and rice which comes to a total of $7.48 / 170000 VND. 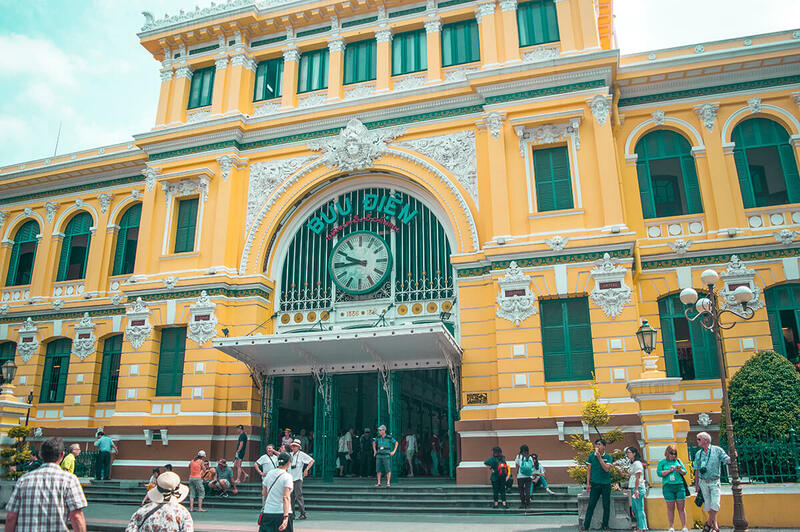 We buy tickets and catch a train from Hue to Da Nang. The 4 berth ticket costs $5.63 / 128000 VND. Once in Da Nang we catch the public bus to Hoi An for $1.32 / 30000 VND. Checked into our hostel we bicycle to the beach where parking costs $0.44 / 10000 VND. At the beach we share a donut for $0.33 / 7500 VND each. For dinner we head out for a western meal at Jim’s Snackbar. I order a burger, chips and a soda for $5.54 / 126000 VND. 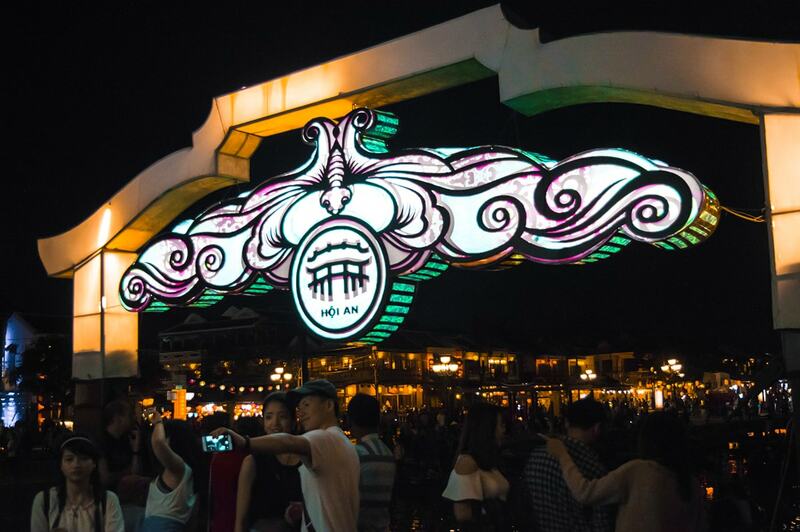 Checking out the old town at night costs $5.28 / 120000 VND for the entrance fee. Then the parking fee for my bicycle in the old town is $0.08 / 2000 VND. 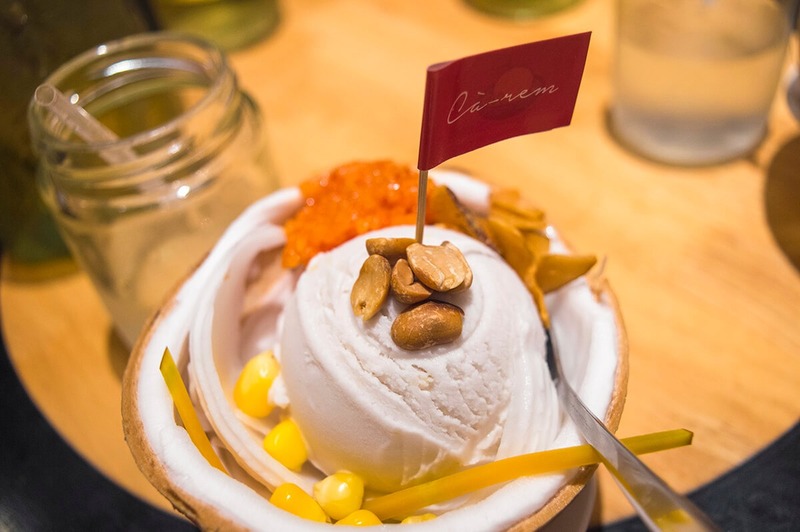 Once there we meet up with some friends and grab a beer ( $1.10 / 25000 VND), share a banana pancake ($0.22 / 5000 VND), ice cream ($0.22 / 5000 VND) and a water ($0.22 / 5000 VND). We are staying in a dorm room at Little Leo’s Homestay & Hostel, this includes free breakfast and free bike hire. The cost per night each is $6.82 / 155000 VND. Breakfast is included in the hostel price. 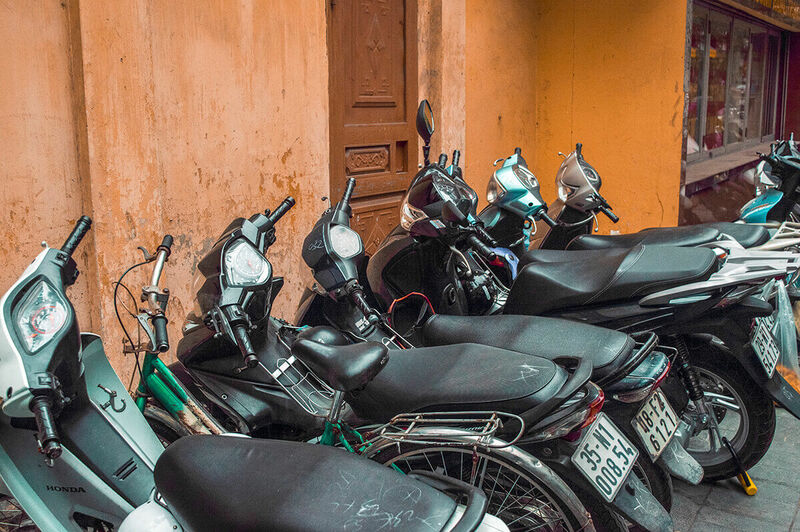 We hire a motorbike for the day and split the cost. It comes to $2.99 / 68000 VND each. Of course I have then got to fill up the motorbike, again splitting the price of $1.98 / 45000 VND each. We explore Tra Que Vegetable Village which is free. Then for lunch we head a bit out of town to Restaurant & Cafe Tuan. Here we share a pizza, tofu, rice and a soda which costs $3.30 / 75000 VND each. Exploring the Pottery Village and entry cost is $1.10 / 25000 VND as well as $0.11 / 2500 VND each for parking the motorbike. Heading to the beach for a little relax parking costs are shared of $0.22 / 5000 VND each. Since beach chairs aren’t free we purchase a drink to use them. This costs $1.43 / 32500 VND. For dinner we head to a vegetarian restaurant called Minh Hien Vegetarian Restaurant. I order a tofu dish with rice and a lemon juice which comes to $2.94 / 67000 VND. We get a bit hungry later and grab another amazing burger from Jim’s Snackbar. It costs $5.50 / 125000 VND for a burger and soda. This morning we take a tour of My Son Temple which costs $11.00 / 250000 VND. The entrance fee to My Son Temple is $6.60 / 150000 VND. After the sunrise tour we grab breakfast at. Here I have avocado on toast for $2.42 / 55000 VND. That evening we pay $0.13 / 3000 VND for bicycle parking in the old town. Then its time for Indian again so we head to Namaste. Here I get a curry, naan, poppadom, rice, soda and dessert for $6.60 / 150000 VND. 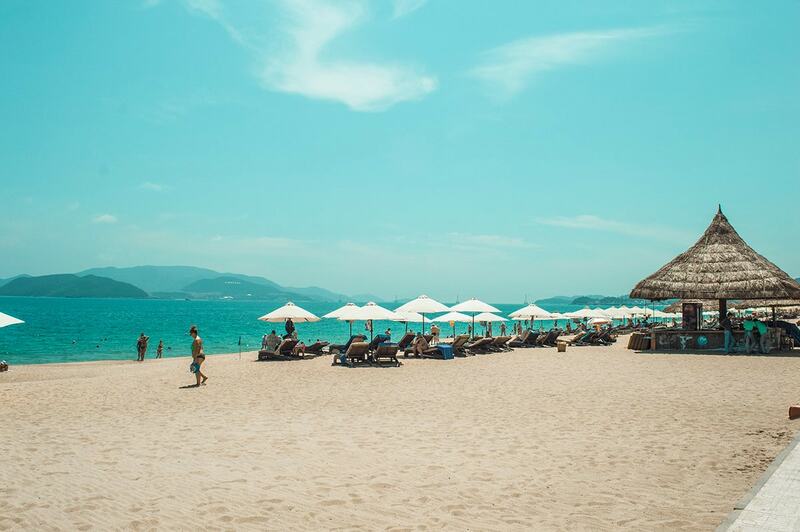 We catch a public bus from Hoi An to Da Nang for $1.32 / 30000 VND. For lunch we find an amazingly cheap bakery called BonPas Bakery & Coffee where I grab 1 slice of pizza, a cheese bun, cheesecake and ice tea for $2.20 / 50000 VND. We do some more grocery shopping at a supermarket and grab some baguettes, peanut butter, water and noodles for $3.96 / 90000 VND. For dinner we head back to BonPas Bakery & Coffee and I get 2 slices of pizza, a cheese bun and a drink for $1.10 / 25000 VND. We stay at Hachi Hostel in a dorm room. The price is $5.98 / 136000 VND which includes breakfast. For breakfast/lunch we stock up on food from BonPas Bakery & Coffee to take on the train with us. The cost is $1.54 / 35000 VND. We take a train from Da Nang to Nha Trang. It costs $21.00 / 477000 VND for a 4 berth cabin. We stay at Tabalo Hostel in a 4 bedroom dorm. It costs us $4.84 / 110000 VND each per night including breakfast. Breakfast is included in rate at Tabalo Hostel. Down at the beach we relax and hire beach chairs at $1.54 / 35000 VND each. For lunch is Cafe Des Amis for tofu, rice and a lemon juice totaling $4.18 / 95000 VND. Then its Indian again for dinner so we head to Taj Grill Indian Restaurant. I get a curry, rice, naan and soda for $5.50 / 125000 VND. 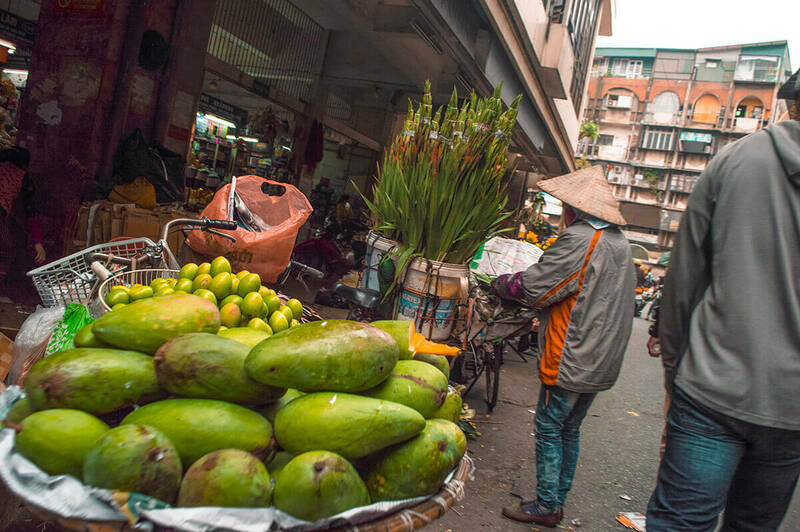 We visit a small supermarket and purchase some fruit, water and an ice cream for $1.54 / 35000 VND. 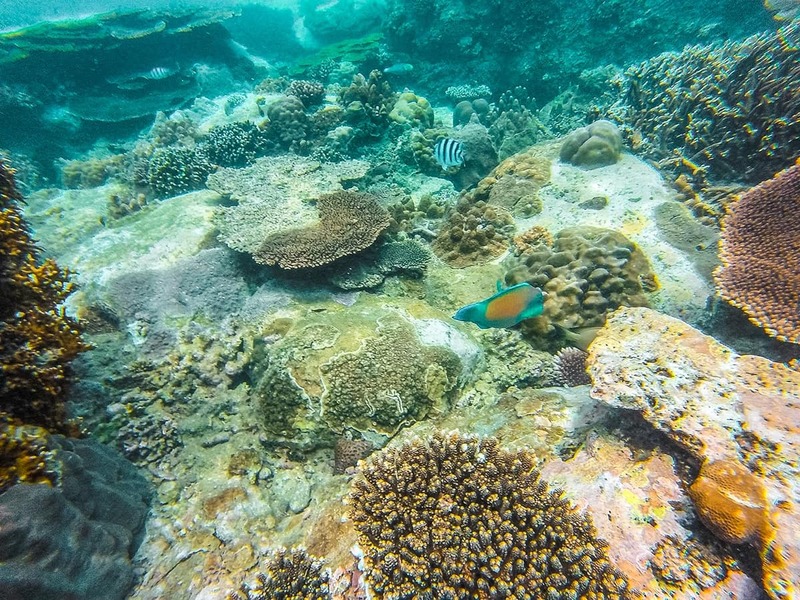 We decide to do an amazing snorkeling tour which costs $15.40 / 350000 VND. This rate includes equipment, lunch, water and entry fee into the protected area. We decide to be a bit fancy and have dinner at Da Fernando. I grab a pizza and soda which costs $5.72 / 130000 VND. Then on the way back to the hostel I grab a bottle of water which costs $0.44 / 10000 VND. We have lunch at Ciao Vietnam where I grab a tofu and rice dish with a drink. This costs me $2.24 / 51000 VND. James and I share a box of donuts which we split the price of for $0.22 / 5000 VND. Then for dinner its back to Cafe Des Amis for another delicious tofu dish and drink which costs $3.30 / 75000 VND. On the way back from dinner we stop to get some snacks from the supermarket which costs $2.42 / 55000 VND. We finally were over hostels and decided to get a private room for the night at Forget Me Not Hotel. We split the room charge which comes to $5.06 / 115000 VND each. For breakfast we eat some of the snacks to brought yesterday. We catch the bus from Nha Trang to Mui Ne. It costs $5.06 / 115000 each. For lunch we pop to a restaurant which is next door to our hostel. I order tofu, rice and a soda for $3.34 / 76000 VND. Then for dinner we head down the road for more Indian at Mughal House Indian Halal Restaurant. I get a curry, rice, naan and drink for $5.50 / 125000 VND. On the way back we stop off to grab a bottle of water which costs $0.19 / 4500 VND. We stay at Mui Ne Backpacker Village in a dorm. It costs us $5.50 / 125000 VND each per night including breakfast. For breakfast we head accross the road to The Bar for breakfast. I grab a scrambled egg baguette and water for $2.24 / 51000 VND. After relaxing in the pool lunch is back over at The Bar. I have a cheese toastie and a water which costs $2.42 / 55000VND. Then we do for a bit of a walk for dinner down at Dong Vui Food Court. Here I get an Indian thali set for $5.50 / 125000 VND. 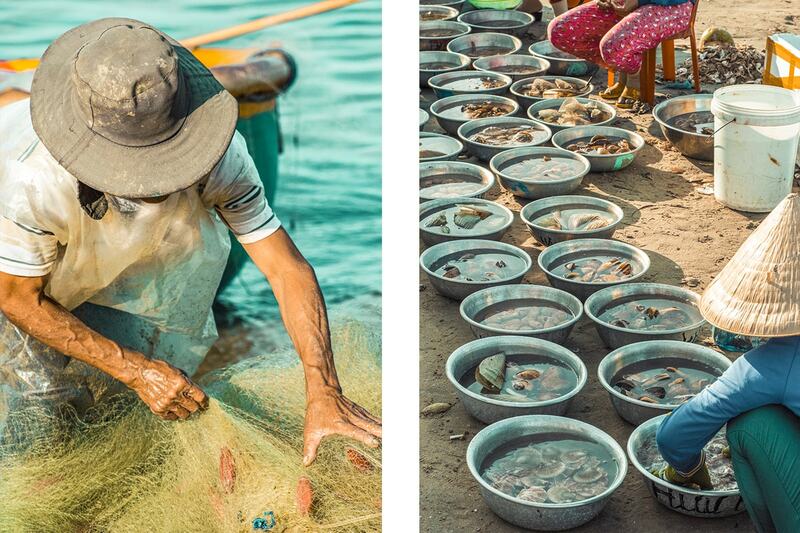 I start the day which a highlights of Mui Ne tour. This costs $7.04 / 160000 VND each. Then for lunch I head back to the restaurant next door and grab$4.84 / 110000 VND. Afterwards we head to the supermarket to grab some snacks for tomorrow which split between us costs $2.20 / 50000 VND. 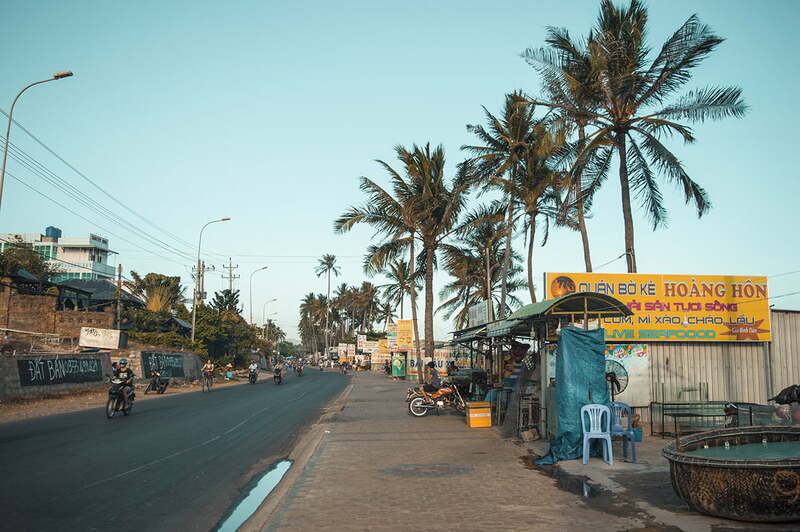 We jump on a bus from Mui Ne to Ho Chi Minh City which costs $4.35 / 99000 VND each. I purchase a pair of sunglasses for $3.30 / 75000 VND. We a falafel lunch over at Gotcha! which costs $3.52 / 80000 VND. Then for dinner we head to a local restaurant which costs $2.28 / 52000 VND. Tonight we are staying in a dorm room over at HewaHome. It costs $4.35 / 99000 VND per night which includes breakfast and water. We visit the War Remnants Museum which costs $0.66 / 15000 VND each for entry. For lunch we grab another delicious Indian meal over at Namaste India. I order a naan, rice, curry and soda for $5.50 / 125000 VND. Then for dinner I grab a couple packets of noodles from the supermarket costing $0.26 / 6000 VND. For breakfast we head to the supermarkets and grab some snack foods for $2.20 / 50000 VND. We take the cheapest tour of the Cu Chi Tunnels which costs $6.16 / 140000 VND each. Also, the entry fee to Cu Chi Tunnels is an extra charge of $4.84 / 110000 VND. Then we stop back at the Gotcha! for another falafel lunch costing $3.61 / 82000 VND. We split an uber to the begining of our free walking tour which costs $0.44 / 10000 VND each. The entry fee into the Independance Palace is $1.76 / 40000 VND. Then for lunch we head to and I get a tofu dish with a soda which costs $3.08 / 70000 VND. 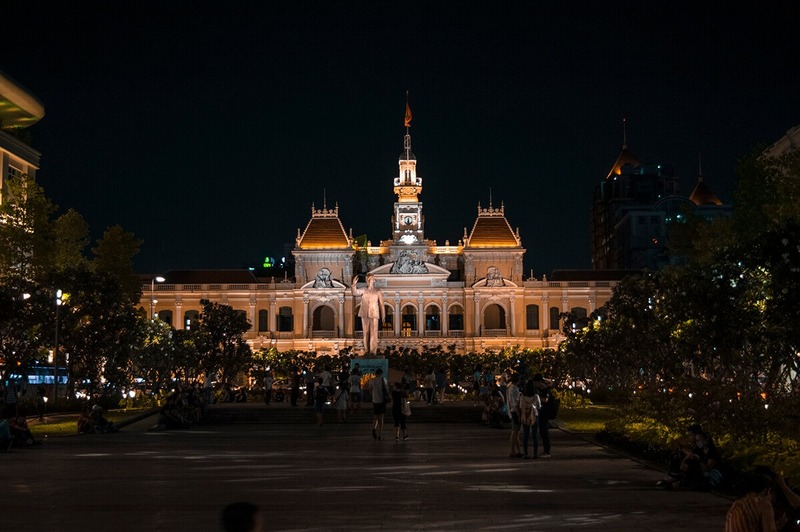 We split an uber to the beginning of our free night tour which costs $0.35 / 8000 VND each. I pay for petrol in the scooter of the free night tour $3.08 / 70000 VND. Next, we stop for a milk tea which costs $0.44 / 10000 VND. Another stop, this time for coconut ice cream which costs $1.76 / 40000 VND. Then we stop at the supermarket and grab a snack for the bus which costs $0.44/ 10000 VND. The uber to the bus terminal costs $0.44 / 1000 VND each. There was a variety of things which put me slightly over budget. I will say that the times we took train journeys it would have been cheaper to take a bus. Though, due to mishaps which happened in the start of the trip we were well put off the idea. Unlike a lot of other countries such as Cambodia or Vietnam, visiting Ha Long Bay was a crazy expense which was a one off. This certainly bumped up my cost per day. Lastly, I did not really eat any street food in Vietnam (yes, I know, I am disappointed in myself as well). 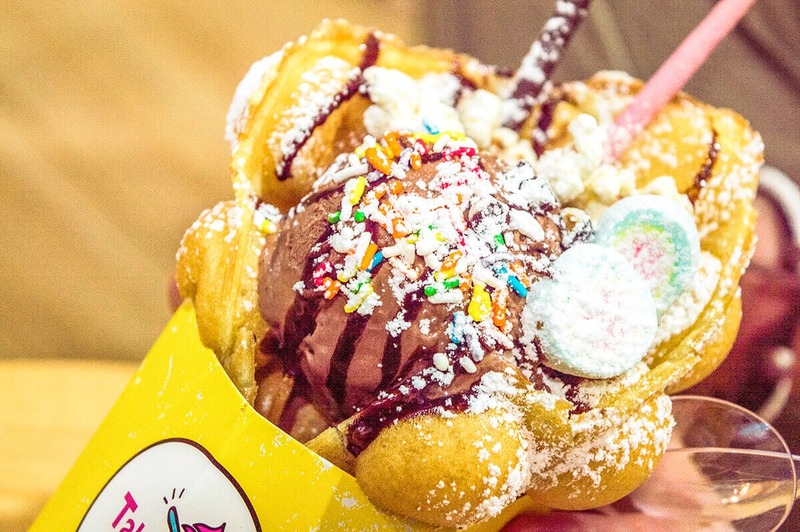 I just was not a fan of many of the general street food dishes so I choose to visit supermarkets or eat out in restaurants quite a lot. Though, all in all my cost per day of $25.55 was not too much over budget and I had an excellent time in Vietnam. 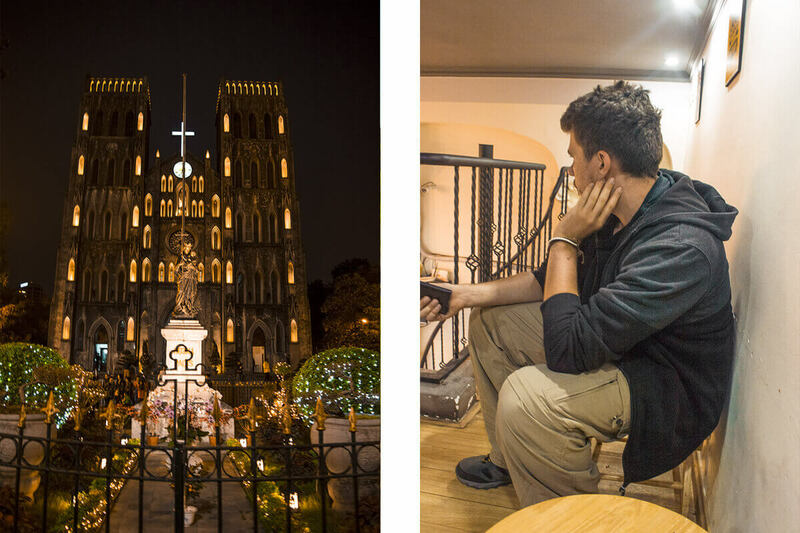 We did some unforgettable tours which I absolutely loved and I did not regret doing them at all. Book hostels with free breakfast. Check out whether your accommodation also includes free water. Share transport with other people, waiting ten minutes to see if anyone else is going to the airport/bus station could save you money. Visit supermarkets! 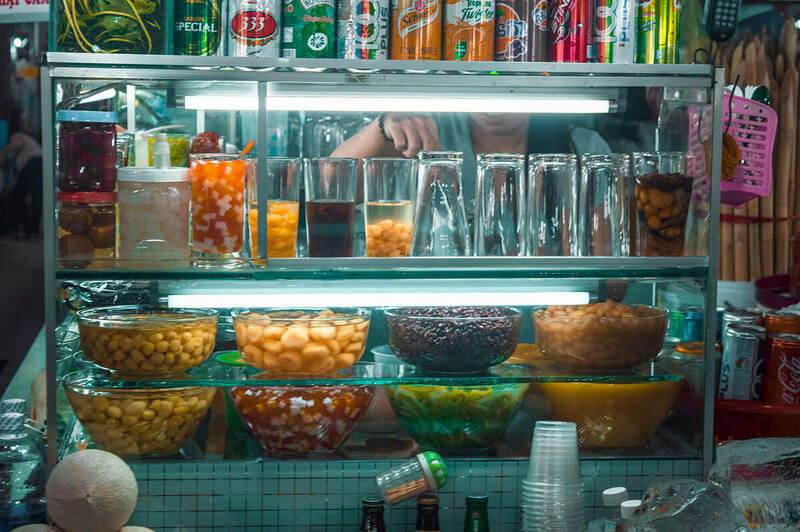 They were my go to choice in Vietnam and I always seemed to be within a 15 minute walk of one. Use Uber or Grab instead of taxis whenever possible. I swear this saved us from being scammed so many times and we always knew the price we would pay. If the city does not have Uber make sure the taxi driver uses the meter. 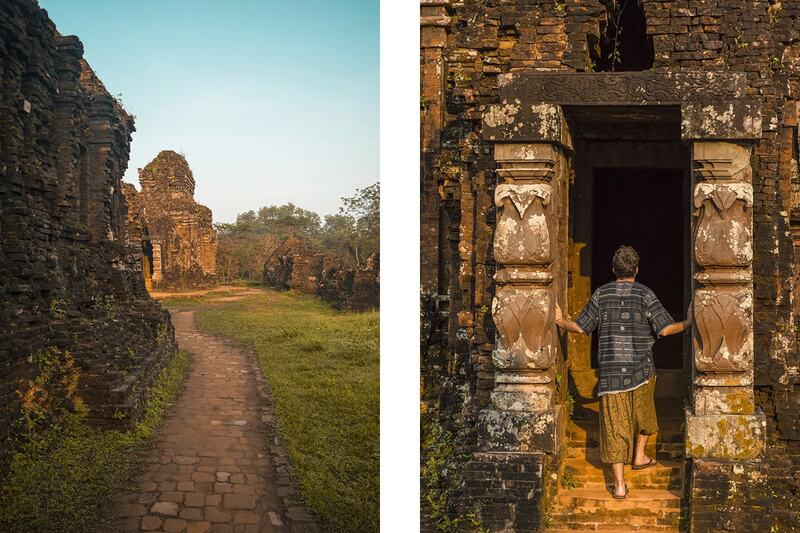 Want more Vietnam inspiration? Check out…. Thanks! It has changed since I have been in Vietnam last. Hey! It depends on the different transport companies whether you need to print your ticket or can just show it on your phone. As far as I am aware you only really know which after booking, though plenty of hostels and guesthouses will happily print it out for you for a couple of cents. The 3 dollar bike was just booked through our guesthouse and was just a regular bicycle. Nice post. Very informative and useful, particularly for first time visitors. Surprised you paid an entrance fee to Ta Van hamlet. I stayed there last year, at Ta Van Ecologic Homestay and didn’t have to pay anything extra on top of my stay there. Thank you for showing how much it costs to travel in Vietnam. I am good at budgeting, but I too don’t keep track while traveling. I generally do pretty good as I tend to stay in cheap hostels or rooms. I can’t wait until I go to Vietnam, later this year. Just got the plane ticket. 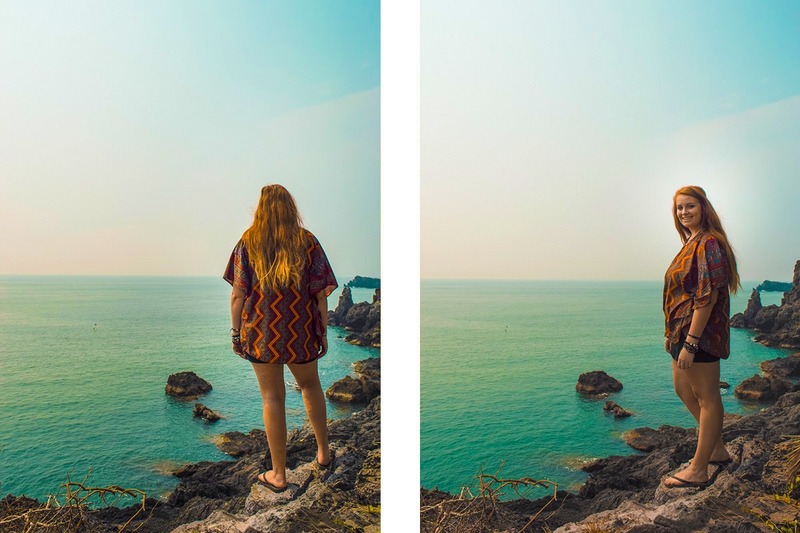 im in vietnam right now and this post has been super helpful. Thanks for your links which dirrect me to the booking options as well. It also gives me a good idea on the average price for things to not get scammed. And another trip would be to use Grab transport app. Currently you get 10% off when you load credit on and 10,000 off for every trip you pay with thr credit. So a 50,000 trip easily comes down to 90% total 45,000 with additional 10,000 discount. Total 35,000 for a 25 minute ride in car. Around half price if you do the bike option but they can only take one person at a time. Wow, this is such a detailed post! 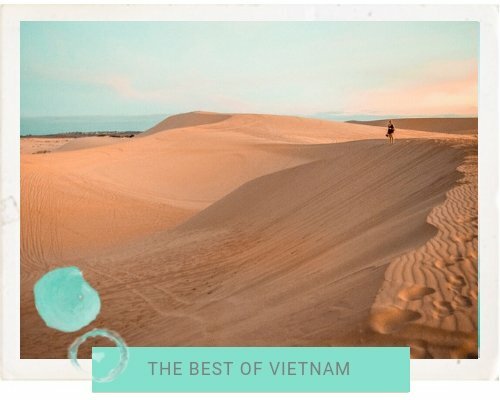 Great resource for travelers going to Vietnam. Thank you for such a thorough breakdown – I haven’t been to Vietnam yet but your itinerary and cost will be helpful when I plan my trip! Im planning aa trip to Vietnam soon so this detailed breakdown is great, thanks! Such a comprehensive guide! 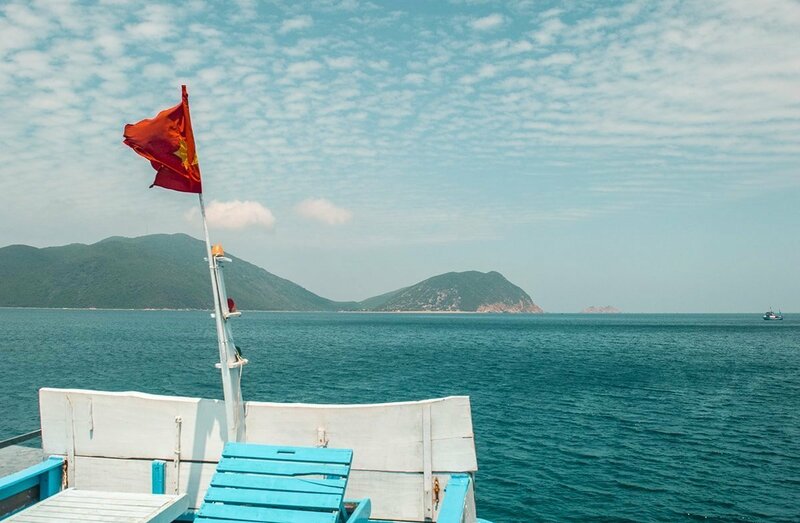 Love the photos and specially ha long bay.. Vietnam has been on our bucket list for so long and your budgeting tips as well as insight on the prices are really helpful! $25 a day sounds cheap but it does add up over the long term! seems like food is really inexpcensive so might as well splurge on eating out. how did you keep track of all this??? Great article! 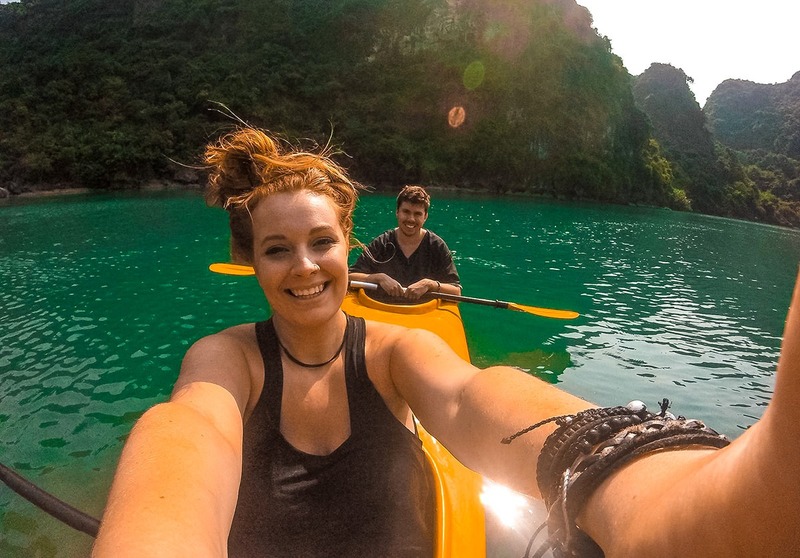 This is about the same budget me and my boyfriend did Vietnam on so it’s definitely doable and still very enjoyable on a decent budget! I’m so surprised to see how expensive Vietnam is. I was expecting much cheaper. 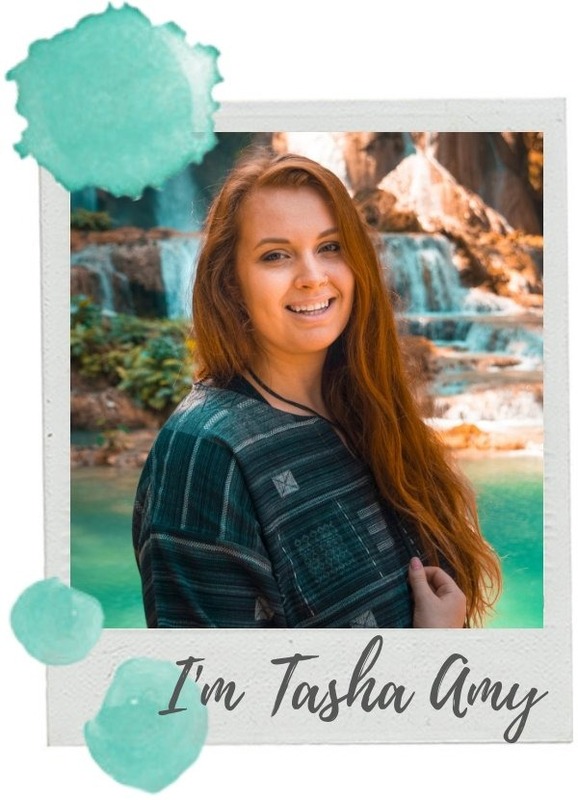 I’m from Turkey and you can travel Turkey and have good food & visit beautiful places in better prices (less than 25$). Having dinner 4.40 $ and otel with breakfast included 5.05 $? It’s a bir unproportion! Really? I cant imagine Turkey being chepaer than Nam. How much is a hostel with breakfast over there? I think it all depends on how you travel (I am not an EXTREME budget backpacker, I would rather pay a couple dollars more to stay in a 6 bedroom dorm vs a 12 bed dorm and I do enjoy restaurants). I have been to both countries and Turkey was more expensive for my ‘travel style’. This is really useful and very thorough, thanks for sharing! Very helpful. THIS is what we really wanna read about – an actual article on how much you spent. Great post, thanks a lot for sharing! That is a super detailed plan… one month in Vietnam costs as a few days anywhere in Europe, not including the fun and food. I should reconsider my “playground”. Very useful info. I also track all my spending! But I’m in Vietnam now and definitely going to be spending more than you did ☹ Getting sucked into tailoring clothes in Hoi An didn’t help! I love this post! Going to Halong Bay soon, so this is really useful! Really in-depth guide. I have a friend travelling to Vietnam in a couple of months, I’ll pass it on to her. The best food in Vietnam! My husband and I are VERY into our budget day to day, but when we travel we seem to let it go out the window! 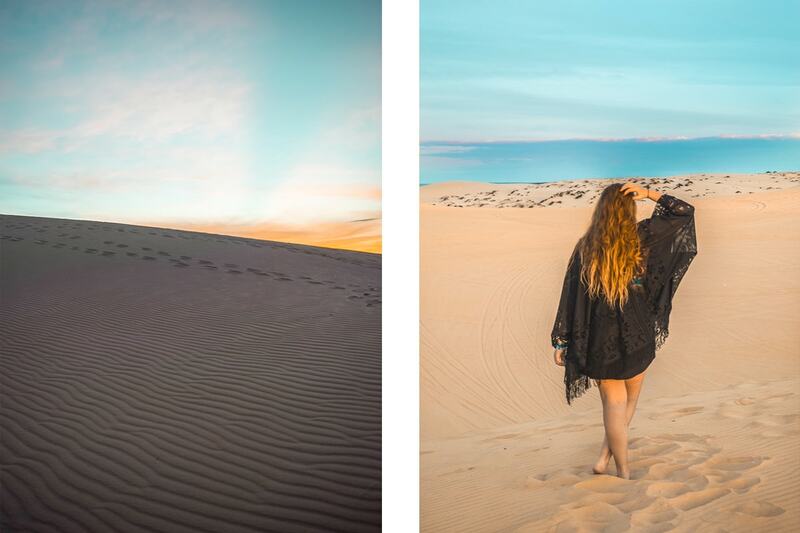 These kinds of posts are SO helpful for us planning our trips…you got to see and do so much while not being too far off your budget! Exactly! It’s possible and i traveled very comfortably. 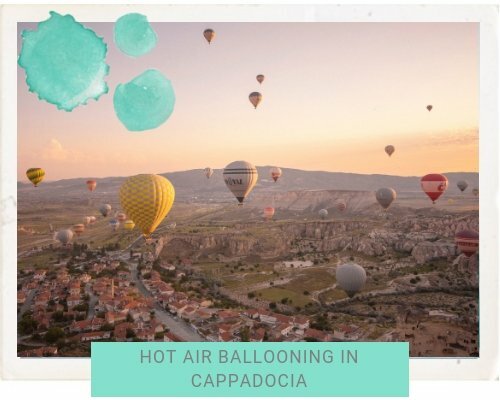 I really admire bloggers who can write such detailed posts about the costs of a place. I always intend to, but I am unbelievably bad at tracking everything I spend while I am travelling. It’s great to see that Vietnam prices have not increased so very much since I was there! Vietnam’s on my list. So this post will soon come in handy. I love how detailed your post is, and I love your hair. 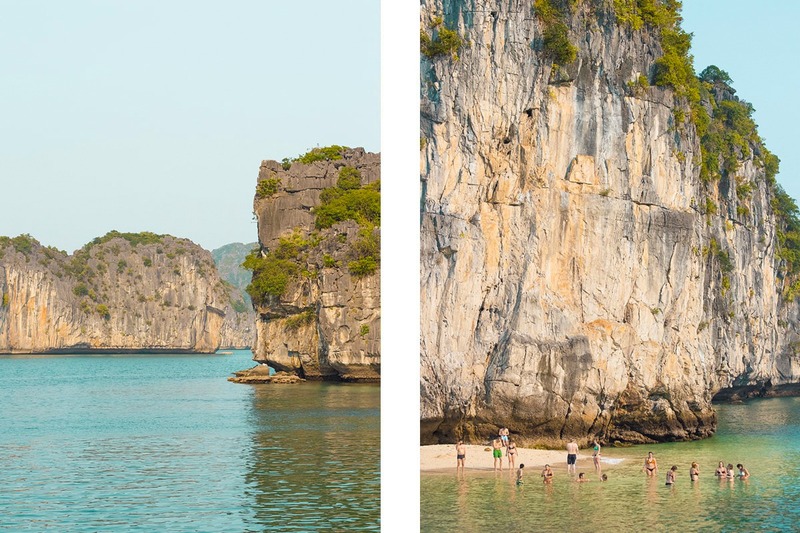 Ha Long Bay and Mui Ne look really cool. I loved seeing not only the daily breakdown but the cost of everything. You’re very detailed and organized! I would recommend just visiting two maybe three places if you only go for 10 days. That way to can see more instead of rushing through ? Wowza, what a detailed post! Haha it definitely took a while to write! Yeah it’s a super affordable and I was able to travel very comfortably. If I was to take buses and eat street food it would have been even more cheaper. Glad you found this helpful!